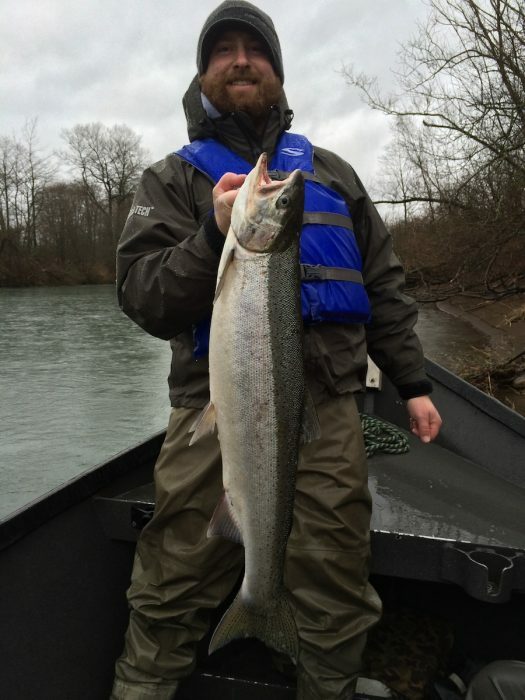 Oregon’s North Coastal streams and Columbia River Tributaries are favorite places to catch chrome steelhead. Beautiful, wily, explosive, elusive…..the steelhead is a premier gamefish and Oregon is one of the best places on earth to find them. Join me on a trip of a lifetime! 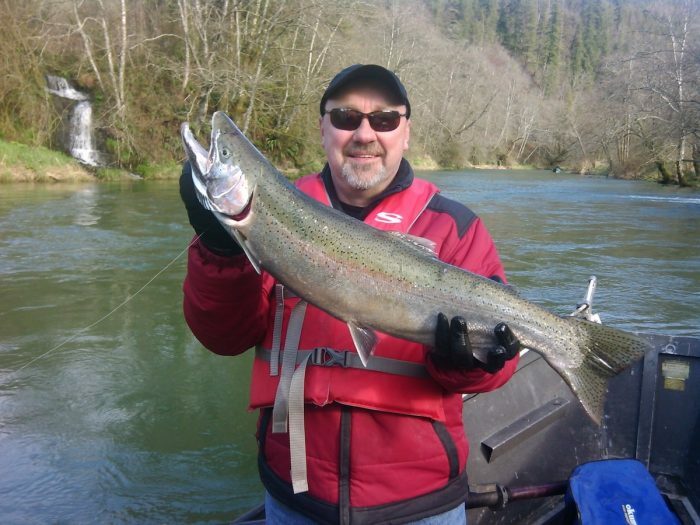 I offer drift boat fishing trips on the Alsea, Siletz, Nestucca, and Wilson Rivers. These valleys provide a tranquil, coastal, winter-time setting. 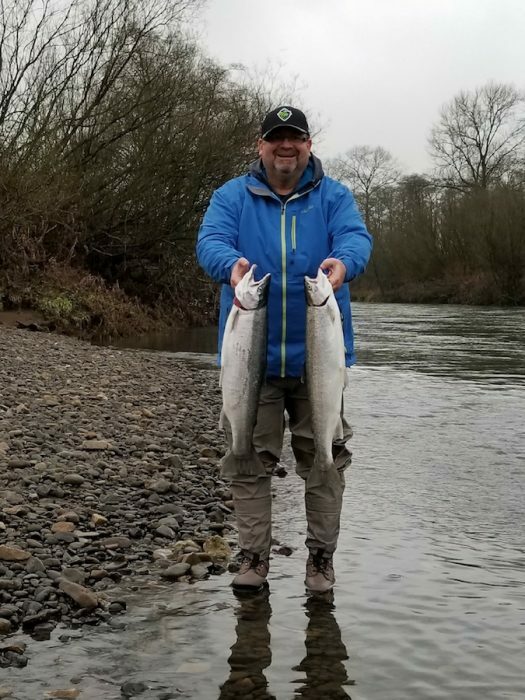 We meander along their fertile drainages in pursuit of the northwest’s most explosive and beautiful game fish, the steelhead. 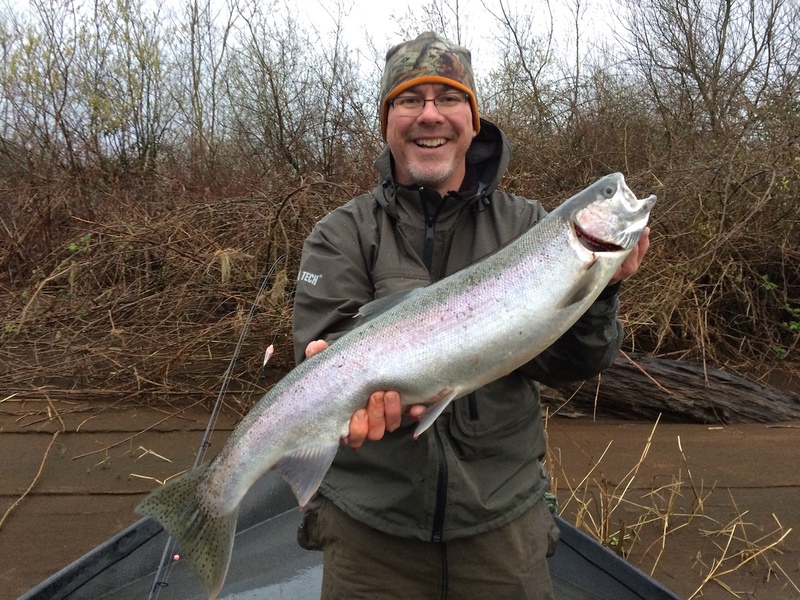 These wily, elusive, silver missiles are among the best of Oregon’s treasures. The Alsea, Siletz, Nestucca, and Wilson all support robust runs of native, hatchery, and brookstock fish. Broodstock fish are born of wild fish spawn propagated by the hatcheries and are a wonderful addition to these healthy fisheries. The peak months are January through March, with December and April being ‘wildcard’ months. These fish average 7 to 9 lbs with common catches above 10 lbs. 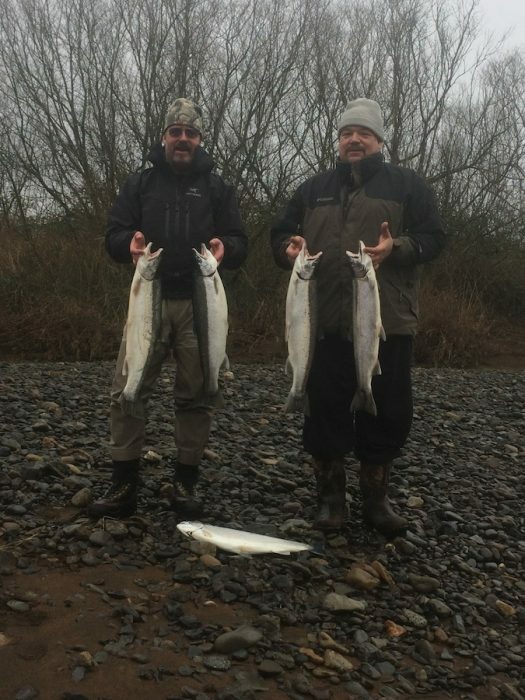 Broodstock and wild fish will average larger with fish in the teens possible. You will want to prepare for cold, inclement weather, layering your clothing for the possibilities. A propane heater is available. I offer seating for up to three customers per float. 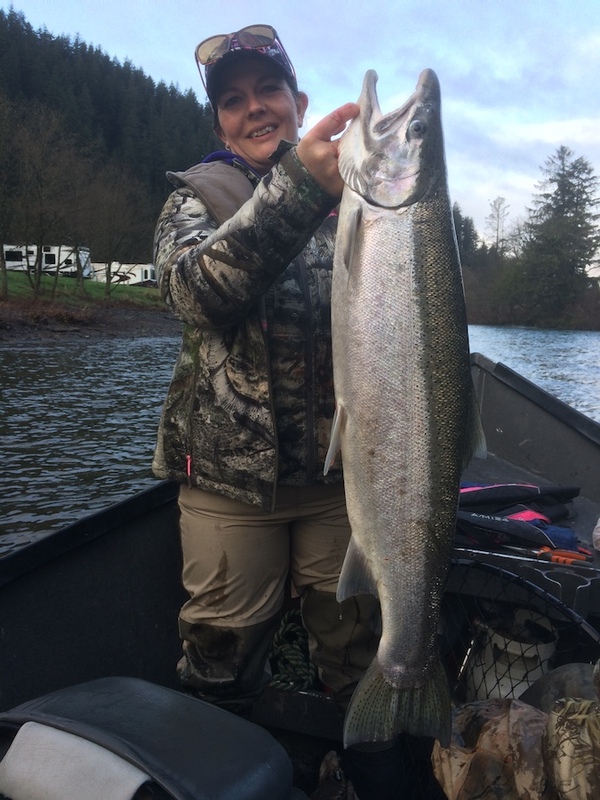 During the warm, aromatic days of spring and summer, I offer drift boat fishing trips on the Santiam river system, which includes the north and south forks. The summer run on the Santiam gets going solid in May and I will fish them through June. Enjoy a day with me and a friend, or on your own, floating the Cascade snowmelt of this gorgeous river, as the trees and foliage spring in to summer form. 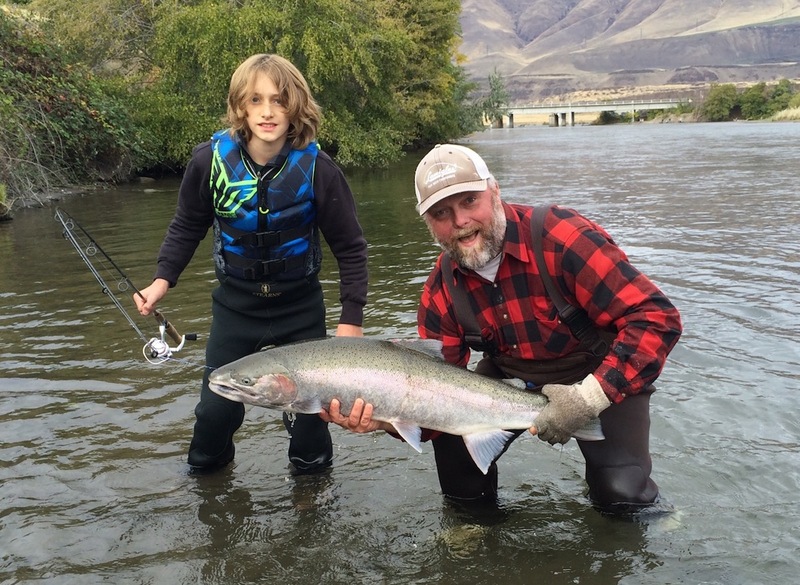 I also offer walk in and bike summer steelhead trips on the Deschutes river. 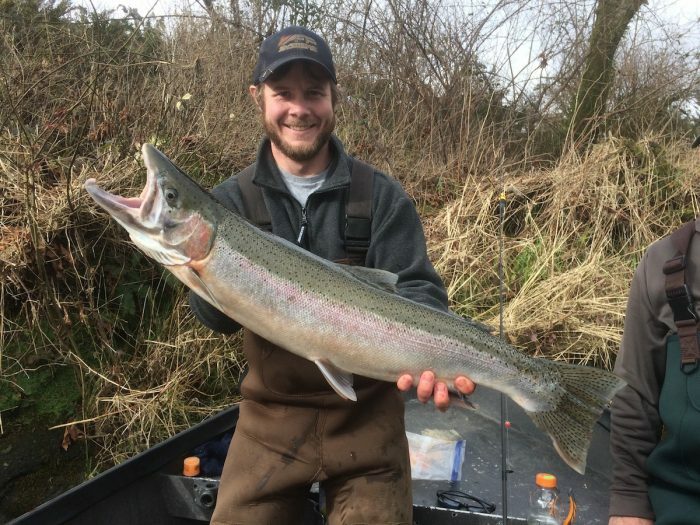 The Deschutes is a world class summer fishery and these fish are often very abundant. 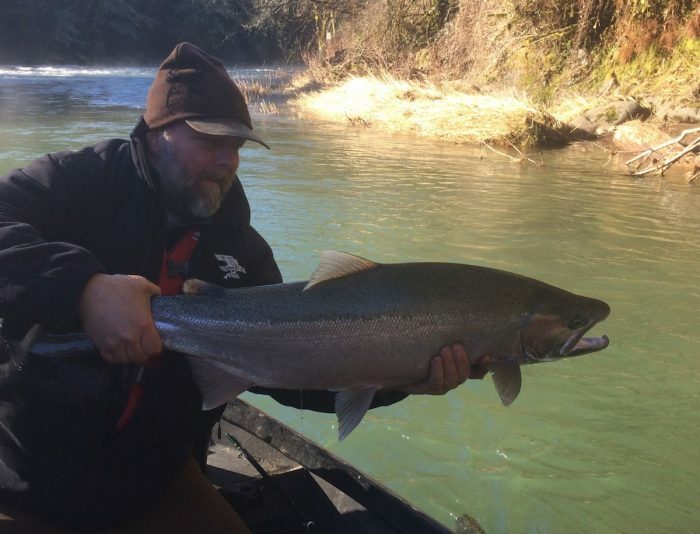 Cost per steelhead drift trip is $200 per passenger per day. All gear included. Waders available. From drift boat float trips to outings with family and friends in our 25’ guide sled, we have many adventures to choose from! Our salmon fishing trips are often done out of Astoria and Waldport, OR. 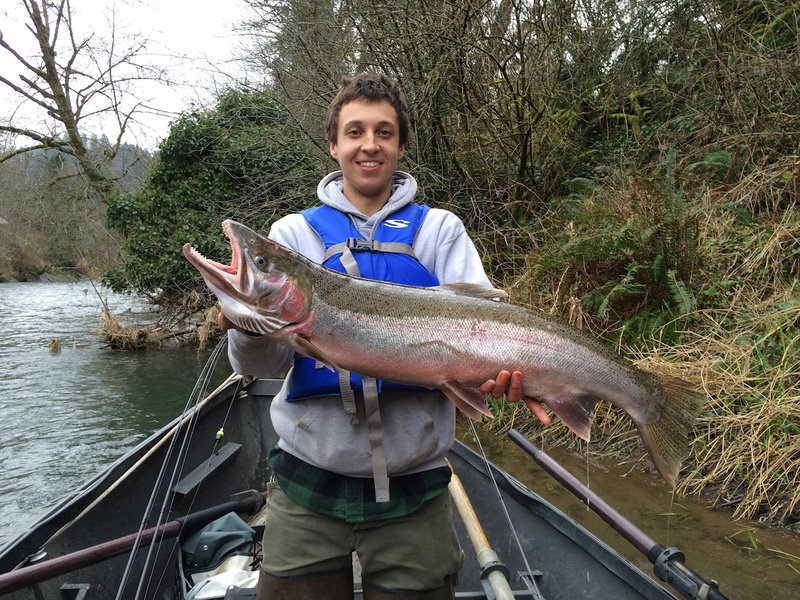 We offer walleye, sturgeon and perch trips in locations such as Rufus, The Dalles, and Warrenton, OR. 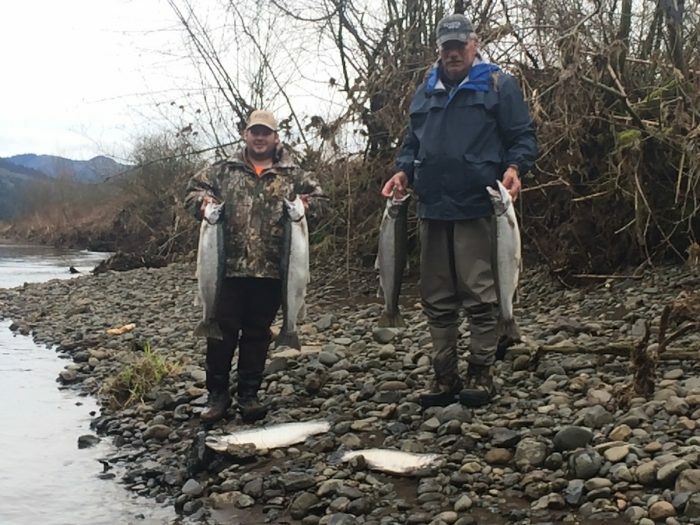 Our crab and clams trips are regularly done in Gearhart, Tillamook Bay, and Alsea Bay, OR. Mushroom and berry picking adventures are near the forest of Spruce Run Park in Seaside. Give us a call to book your trip today!